Two decades have passed, but Jack and Rose’s love still lives on. 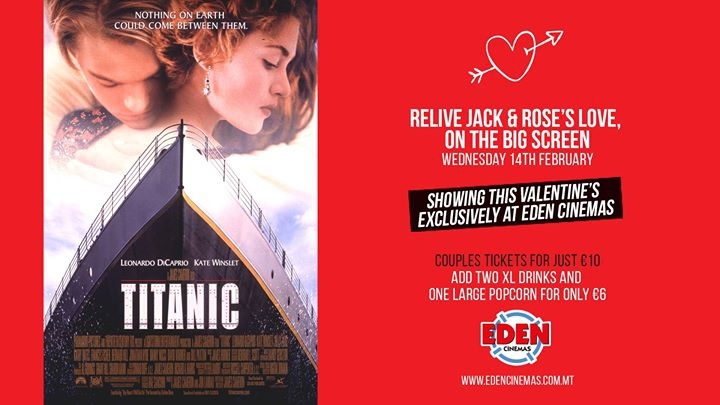 Eden Cinemas will be hosting special screenings of #Titanic on Wednesday 14th February. Tickets are just €10 per couple with a fantastic Valentine’s combo of 2 XL drinks and one Large popcorn for just €6. This Valentine’s you can relive the magic of Titanic... exclusively at Eden Cinemas.